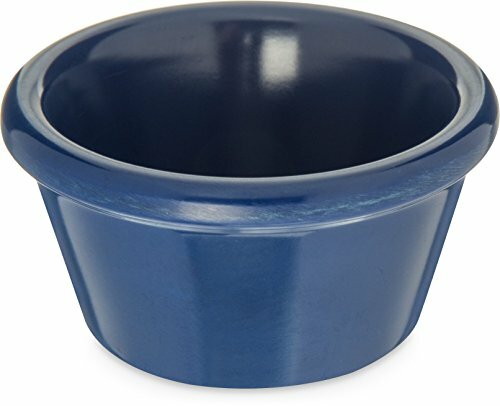 Carlisle Ramekin is standard Thick-walled, heavy weight melamine design. New mediterranean color ramekins to coordinate with our Durus dinnerware and Yin plates. NSF listed and dishwasher safe. Cobalt blue color. BPA-free. 1.81-inches base diameter.